Render or stucco is a material that is manufactured from a blinder, aggregates, and water. Stucco is applied when wet but hardens to a dense solid after a short period. Property owners use it as a decorative coating for their ceilings and walls. You will also find it in artistic and sculptural material in architecture. You can also use stucco in covering the less visually appealing building materials like adobe, clay brick, cinder block, concrete and metal. In English, stucco basically refers to the coating that is on the exterior of your building. However some people just take stucco to mean plaster. Stucco is one of the most popular siding materials that is used in homes and buildings. You can easily notice stucco sidings in homes that have the Spanish-mission or Tuscan styles. Most of the homes in the United States have already applied Stucco to the exterior section of the buildings. However, we still have some who use them for the interior of the homes. Anyone who is planning to construct a new home or premise should consider using stucco sliding in the construction. There are so many things that make stucco siding to be an excellent finishing material. The first thing is that stucco is highly attractive. Most homeowners use stucco for the exterior section of their home but we have some who use this siding to enhance the interior design on their home. Its advisable to hire a craftsman to help you in creating an excellent stonework and designs for your home. The rustic appearance of stucco homes makes them more attractive especially when dealing with Spanish and Tuscan styles. Most of the luxurious homes in the United States are now using stucco in their construction to enhance the overall look of the exterior. If you wish to use stucco to design the interior of your home, you can use pigments to add some color to your stucco sliding. The most important thing is to get a highly experienced expert like Palm Beach Concrete Underlayment Services to implement this project. The other characteristic of stucco EIFS is that is has low cost and maintenance requirements. Stucco is comparatively cheaper in comparison to the other construction materials. Besides, stucco is more durable in comparison to the other building materials that are more expensive. Unlike other buildings materials like paint, stucco also requires low maintenance costs. Paint is usually removed from your surfaces and hence you need to repaint and maintain it on a regular basis. But with the application of stucco, you don’t have to fix or maintain it on a regular basis. The most important thing is to apply stucco in the right manner. You can be sure that such a surface will last you for several years. 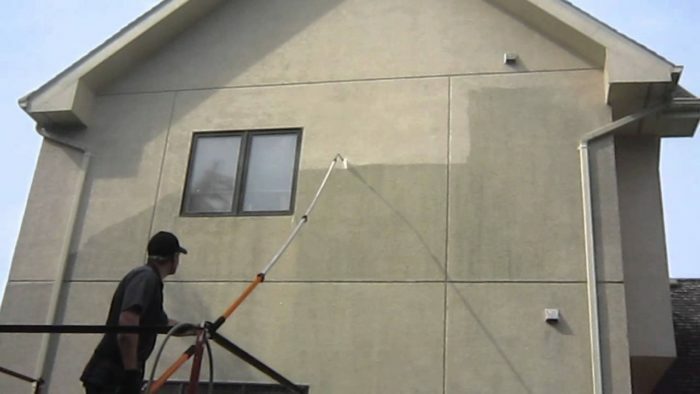 You can also decide to add a pigment to the stucco before you make the application. Make sure that the stucco dries completely if you want it to remain strong after the application. Palm Beach Concrete Underlayment Services can help you get the best stucco and EIFS results. Most people love stucco and EIFS because it is highly durable. In fact, durability is the most beautiful characteristic of stucco. The most important thing is to do the right application of stucco and it will last you for several decades. If you are not sure of the application process, you need to consult a professional to handle this task. Palm Beach Concrete Underlayment Services is always available to give you exemplary services. The other feature of stucco and EIFS is that you can apply it to several architectural styles. However, it is more popular on Spanish and Tuscan designs depending on the kind of styles that you wish to create. You can use stucco sliding to create a wonderful stonework. You can use a highly skilled artisan in designing your walls. The other attribute of stucco is that it has great weather repellant properties. Stucco and EIFS can withstand adverse weather conditions and hence protecting your home from rain and water. In addition, stucco siding is fire resistant hence protecting your home from damage. The only thing is to apply stucco in the right manner. Palm Beach Concrete Underlayment Services can help you to enjoy the benefits that come with stucco. Call us today for your stucco applications and you will stand to enjoy all the above benefits.